Twitter’s stock has enjoyed a little bit of an uptick this week, jumping 11 percent on Wednesday after a much-needed buy upgrade from Nomura. However, share prices are still down some 45 percent this year and Twitter still needs to convince a skeptical investor market that it’s a good bet for the future, particularly when compared to its great rival, Facebook. 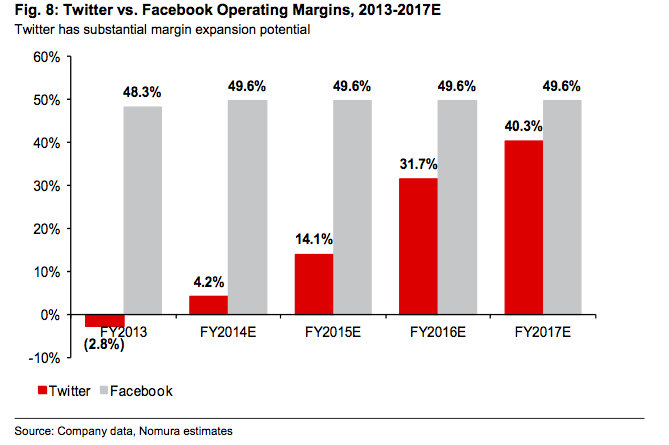 But there’s one area where Twitter has a big edge over Facebook: operating margins. Operating margins are calculated by dividing operating income by net sales. 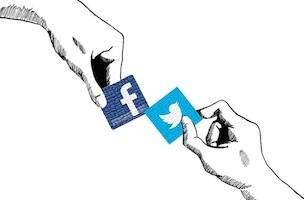 Twitter’s operating margins in 2013 were minus 2.8 percent. Facebook’s? 48.3 percent. Twitter’s potential in this area should lead to some juicer profit margins in the years to come, and with that, renewed confidence from investors.